What does Surastri mean, details, origin, short & easy attributes? Surastri is baby girl name mainly popular in Hindu religion and its main origin is Hindi. Surastri name meanings is Celestial Woman. Surastri is written in Hindi as सुरस्त्री. Each letter meanings in Surastri Name. Popular personalities with Surastri Name. Surastri Karma Trimurti was a Minister of Labour of the Republic of Indonesia. 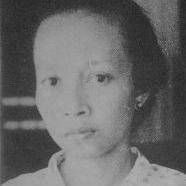 Surastri was born on May 11th, 1912 in Dutch East Indies. She left this life on May 20th, 2008.